Take part in this fantastic frothy 5k family fun run on 2 June at Cutteslowe Park Oxford. With entry open to all ages, it’s up to you whether you walk, run, or even toddle the family, buggy friendly route through multi-coloured bubbles up to four feet high. 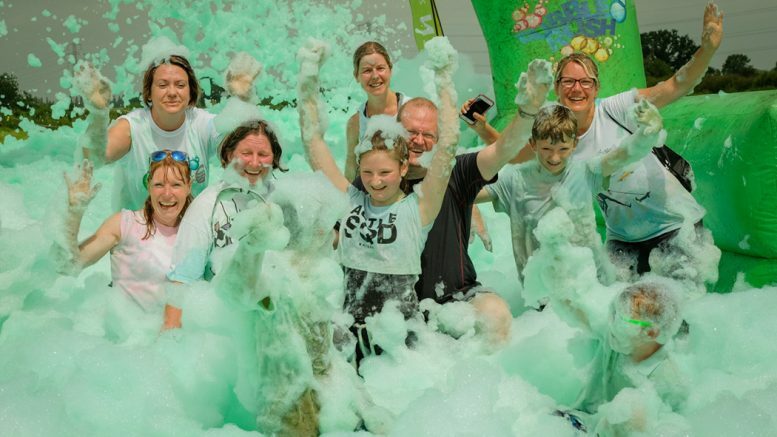 Stay on afterwards to enjoy bubbly activities in our event village for a great morning of foamy fun. Raising money for your local children’s hospice Helen & Douglas House. To find out more go to www.hdh.org.uk or call 01865 799166. With entry open to all ages, it’s up to you whether you walk, run, or even toddle the family-friendly route. Whichever you choose, you’ll burst through four stations with cannons pumping bubbles up to four feet high, and get covered from head to toe in colourful, light, foamy bubbles. Everyone taking part will receive a free t-shirt* and a special Bubble Rush medal* when you cross the finish line, all included in your entrance fee. 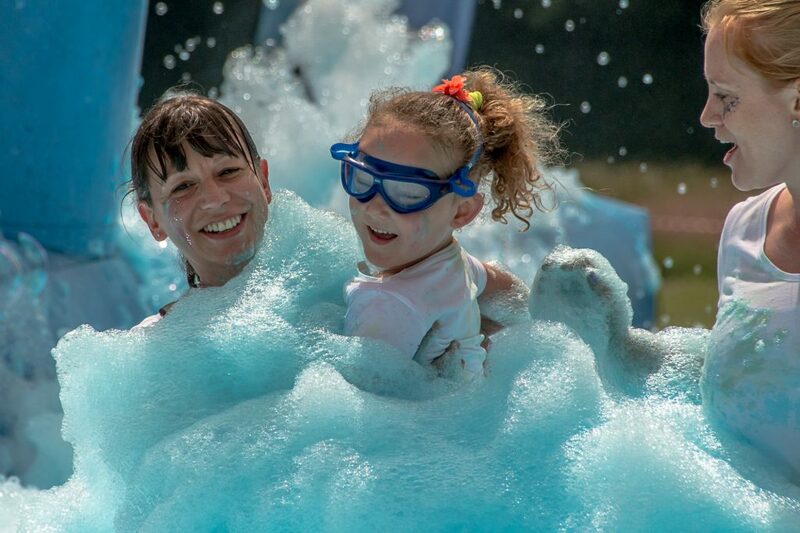 Stay on afterwards to enjoy bubbly activities in our event village for a great morning of foamy fun. Pushchairs and wheelchairs are more than welcome. 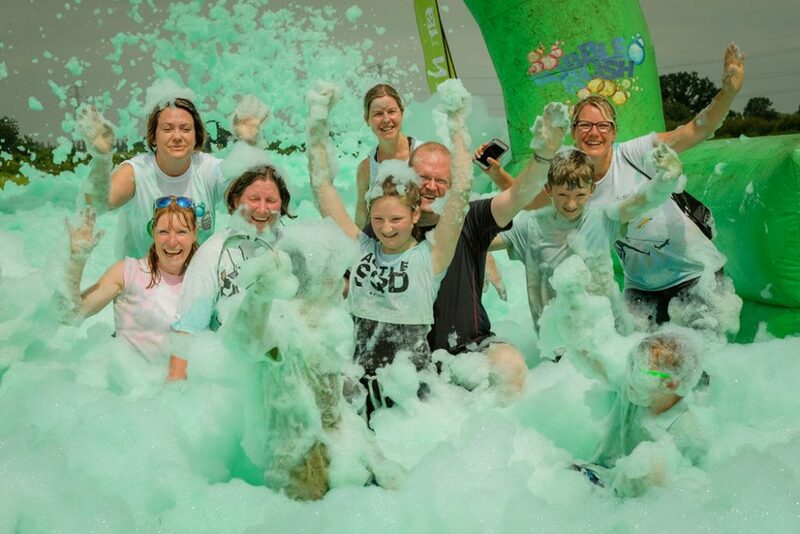 The Bubble Rush mirrors the ethos of this local charity by celebrating living life to the full and bringing smiles and laughter to everyone taking part. Your participation in the Bubble Rush will make a real difference to local terminally ill children and their families. It costs £3 million a year to run the hospice and provide its outreach nursing service to help families at home and they cannot do this without your help. The money you raise at Bubble Rush could pay for their sibling support programme for one year so that children facing the future without their brother or sister can come together play and discuss their feelings with others going through the same thing. *Except under threes who are free.